Dodge Charger R/T. Photo by RL GNZLZ on Flickr / CC BY-SA 2.0. Many new car buyers state that technology has become an important feature that they consider when purchasing their new vehicle. The term “high-tech car” generally refers to a vehicle with advanced navigation, connectivity and entertainment features. 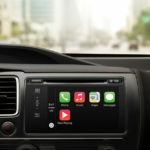 In our list of the eight best high-tech cars, we will focus on 2015 and early 2016 models with top-of-the-line infotainment systems, connectivity, apps, audio, navigation and Bluetooth features. This all-wheel drive sedan with a 1.8-liter, four-cylinder turbocharged engine is a great drive, thanks to its 178 horsepower and a six-speed S-tronic auto dual-clutch transmission. The NVIDIA Tegra 2 powered 7-inch screen that lifts out of the dashboard and reacts quickly to any input—thanks to its improved graphics and loading speeds. The Audi A3 comes with the Audi Connect System and the MMI touch center console controller that give you instant access to your social accounts, Google Maps and Internet/Satellite Radio thanks to 4G LTE and Wi-Fi. If you’re feeling adventurous, find great places with Picture Destination, which allows you to navigate based on the geographical coordinates of a digital photo. Stay safe on the road with Bluetooth and enjoy the freedom of hands-free calls and messages. The Bang & Olufsen audio system makes the sound crystal clear thanks to its 14 speakers and 705-watt amplification. Listening to music is also available while charging your devices via a standard USB port or Apple 30-pin connector. The starting price for the 2015 Audi A3 is $30,795 for the 1.8-liter engine and $33,795 for the 2.0-liter. This all-wheel-drive SUV comes with a 3.5-liter, direct-injected V6 engine which sports 280 horsepower, and the nine-speed automatic transmission makes use of all that power. The 2016 Honda Pilot Elite uses a Display Audio infotainment system that runs on a modified version of Android Ice Cream Sandwich. All the interaction is done through an 8-inch LCD screen with several capacitive buttons. Additionally, a small multi-information LCD display will continue to show navigation arrows and trip computer details even when you change the display in the center. The Elite trim offers Garmin navigation that includes 3D maps, speed limit information and high-resolution images of landmarks and buildings. The Pilot Elite trim comes with a rear entertainment system: the 9-inch XGA screen folds down from the ceiling and has a detachable remote. The disc player is located in the front console and can read CDs, DVDs and Blu-Ray Discs. There are RCA and HDMI inputs, two wired headphone jacks, two USB ports and a 110-volt outlet in the back as part of the rear entertainment system. Another USB port is located in the center console, and two more are under the dashboard, so there will always be enough ports for all your devices. With SiriusXM satellite radio, you can take advantage of Tune Start, which buffers up to 30 minutes of music in case you were interrupted by a phone call. The MSRP for the 2016 Honda Pilot Elite is $46,570. The Volvo XC90 Momentum, which is the base trim for this SUV, comes with an all-wheel drive and an eight-speed automatic transmission. The 2.0-liter, four-cylinder engine combines supercharging and turbocharging for instant access to 316 horsepower. The 2016 Volvo XC90 features a 9-inch Sensus Connect infotainment interface that is compatible with Android Auto, Apple CarPlay and MirrorLink on smartphones. The Vision package features a surround-view parking camera system and costs $1,600. The Momentum Plus packages adds an LCD instrument panel and costs $1,900. The Bowers & Wilkins premium sound system adds another nine speakers to deliver an output of 1,400 watts, and it costs $2,500. The navigation capabilities are brilliant: with over-the-air map updates, real-time traffic status, and Send to Car or Volvo-On-Call functionality, they seem to be taken straight from the future. Connectivity options include Bluetooth, cloud-connected apps, USB, auxiliary, home Wi-Fi networks and public hotspots. You are also able to control the system via voice activation. A 10-speaker sound system with SiriusXM satellite radio, AM/FM radio and a CD player is sure to play your favorite tunes. The starting price for the 2016 Volvo XC90 with base-level trim is $43,950. Photo by Mr.Choppers on Wikimedia Commons / CC BY-SA 3.0. With the highest level of trim available, the 2016 Nissan Maxima Platinum is a sedan with front-wheel drive and a CVT transmission. It has a 3.5-liter, V6 engine that produces 300 horsepower. This level of trim comes with a backup camera, navigation and remote start. It has two LCD screens: an 8-inch touch screen in the center of the dash, and a 7-inch multi-information display in the instrument panel. The touch screen is supplemented with the Display Commander—a control wheel that allows owners to scroll through menus. Two USB ports and Bluetooth make sure you can connect your devices, answer your calls safely and enjoy music streams. Exclusive to the Platinum edition is NissanConnect, which allows owners to connect their smartphones to access apps such as iHeartRadio, Pandora and voice-input text assistance. NissanConnect also allows owners to track the vehicle, send maps from their phones to the car, and unlock and start the car from their phones. 11 Bose speakers combined with an AM/FM radio, SiriusXM satellite radio and CD player offer crystal clear sound and access to all your favorite stations and services. The starting price for the 2016 Nissan Maxima Platinum is $32,510. This rear-wheel drive sedan features a 5.7-liter, Hemi V8 engine and 370 horsepower. It has an eight-speed automatic transmission with paddle shifters for switching to manual mode. Combined with the sport-bred chassis, it enables acceleration from zero to 60 mph in less than six seconds. The 2015 Dodge Charger R/T comes with the Uconnect infotainment system, which features an 8.4-inch touch screen for embedded telematics connectivity and in-car Wi-Fi. With the companion smartphone app, owners can lock, unlock and remote start the vehicle as well as flash the headlights. They also receive text notifications if the alarm is activated. The intuitive screen interface allows for local searches on Yelp, and the system also includes Bluetooth, voice control and texting, as well as updated navigation in 3D. A Media Hub with auxiliary, USB and SD card connections and two more USB ports in the back of the center console give plenty of connectivity options to you and your passengers. The 2015 Dodge Charger R/T comes with an AM/FM radio and optional SiriusXM satellite radio. The Uconnect system allows for streaming music and other cloud-based services via the smartphone, including Pandora, Slacker, Aha and iHeartRadio. The starting price for the 2015 Dodge Charger R/T is $33,895. This crossover with all-wheel drive and a six-speed automatic transmission features a 1.4-liter, four-cylinder turbocharged engine with 138 horsepower. The Buick Encore Premium AWD comes with a 7-inch display on the dash and a set of controls. The system allows for audio streaming, hands-free phone calls and voice-activated text messaging via a connect smartphone. Owners can connect a smartphone through Bluetooth or USB port to access the Slacker and Pandora apps through the IntelliLink interface. Other ports in the vehicle include an auxiliary input jack and a 120-volt power outlet. The 2015 Buick Encore Premium AWD utilizes an IntelliLink infotainment system. An Audio System with GPS navigation is available as an additional purchase. The SiriusXM Travel Link service offers more cloud-based services such as fuel locations and prices, movie listings, and weather alerts and forecasts. The OnStar telematics system allows for 4G LTE connectivity and turns the car into a Wi-Fi hotspot. Standard with this vehicle are an AM/FM radio, SiriusXM radio functionality, a CD player and MP3 functionality, which play through the seven-speaker Bose sound system. The starting price for the 2015 Buick Encore Premium AWD is $30,935. Photo by Dmitry G on Wikimedia Commons / CC0 1.0. The basic models have rear-wheel drive, a 3-liter, V6 EcoDiesel engine and a six-speed automatic transmission. The other options are four-wheel drive, a 5.7-liter, Hemi V8 engine and an eight-speed automatic transmission. 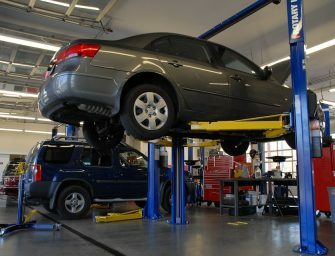 These options can be mixed depending on what car shoppers are willing to pay. The 2015 Ram 1500 comes with an infotainment system that features an 8.4-inch touch display, which doubles as a backup camera display. Other telematics services include emergency assistance and remote lock/unlock and start. The Ram comes with the Uconnect infotainment system. Connect your smartphone via USB or Bluetooth and access apps such as iHeartRadio, Aha, Stitcher, Pandora and Yelp for local search. In addition, Uconnect Access makes the vehicle a Wi-Fi hotspot. You can get various entertainment features as an additional purchase: Uconnect, SiriusXM satellite radio and Bluetooth for audio streaming and phone calls are just some of them. 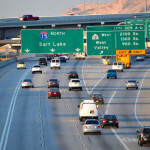 Car shoppers can pay an extra $500 to have navigation, a one-year Uconnect Access subscription and a five-year SiriusXM Travel Link subscription added. The starting price of the 2015 Ram 1500 is $25,660. Photo by Kickaffe (Mario von Berg) on Wikimedia Commons / CC BY-SA 4.0. This convertible features great balance and rear-wheel drive. It’s available in six-speed automatic and manual transmissions. The 2.0-liter, four-cylinder engine produces 155 horsepower, which makes the car accelerate from zero to 60 mph in 5.9 seconds. There are three different trim models for the 2016 Mazda MX-5 Miata: Sport, Club and Grand Touring. The intuitive Mazda Connect interface allows for accessible navigation, stereo and phone functions. Alongside the touch screen are a set of physical controls called the Commander Control for scrolling through the system menus. Owners can use Pandora, Aha and Stitcher radio apps to enjoy their favorite music and radio stations. The Miata comes with voice-activated functionality for hands-free navigation and phone calls as well. By tethering the system to an Internet connection, you can check traffic and fuel prices on the screen. The Sport model comes with a six-speaker audio system with a CD player, an auxiliary input jack and a USB input. Some of the speakers are mounted in the headrest. The Club model adds SiriusXM satellite radio and Bluetooth, and the GT model upgrades the audio system to Bose speakers with a subwoofer. Both of these trims also feature a second USB port and the Mazda Connect system, which includes a 7-inch color touch screen that lifts up from the dashboard. The starting price for the trims are $24,915 for Sport, $28,600 for Club and $30,065 for GT. 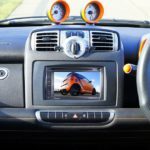 From Bluetooth and various ports to upgraded audio systems and large infotainment screens, there are many technological advances built into modern vehicles. Are any of the above features must-haves for your car? What cutting-edge technology do you think is missing from this list?